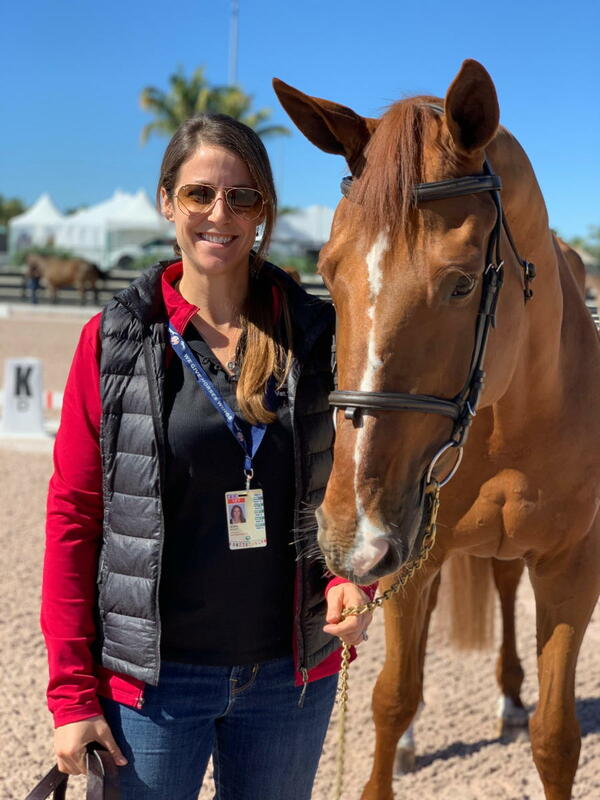 Dr. Selina Passante-Watt traded in the cold winters of Canada for the sunny shores of South Florida and joined the practice at Palm Beach Equine Clinic in the fall of 2013. 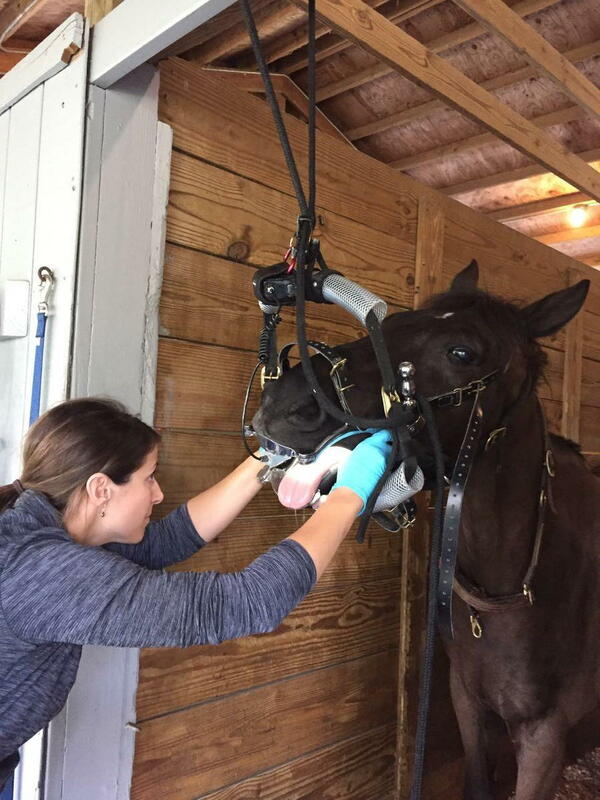 A veterinarian at just 32 years of age, Dr. Passante-Watt enjoys the team-oriented aspect and vast resources that working at Palm Beach Equine Clinic offers. She now splits her time between winters working at Palm Beach Equine Clinic and running a mobile practice with her husband in Western Canada during the summers. Originally from Winnipeg, Manitoba, Canada, Dr. Passante-Watt graduated from the Western College of Veterinary Medicine in Saskatoon, SK, in June 2012. After graduation, she moved west to Calgary, Alberta, and completed an internship in equine medicine and surgery at Moore Equine Veterinary Centre. She and her husband, who is also an equine veterinarian, relocated to South Florida in July of 2013 in order to pursue their equine veterinary careers. Dr. Selina Passante-Watt on the job in Wellington. Dr. Passante-Watt started riding when she was 10 years old and was a typical horse-crazy child. 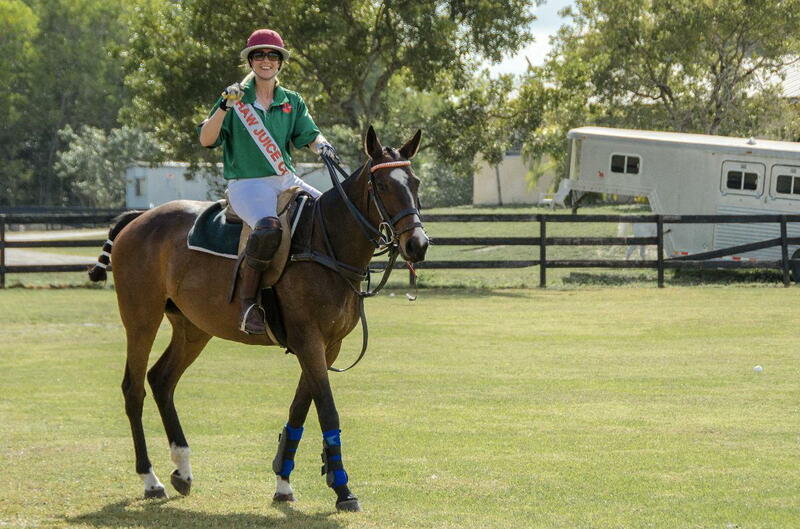 She took western riding lessons for a few years before falling in love with polo. When she was in high school, she got a job grooming and exercising polo horses in Winnipeg, which continued for six summers. After high school, Dr. Passante-Watt was unsure what career path she wanted to take, so she embarked on a backpacking trip in Australia. She picked up small jobs while traveling, one being picking mangos. While on that mango farm, she found a small dog that was wounded from a fight with another dog. Dr. Passante-Watt took the dog, fixed his wounds, and nursed him back to health. It was that experience that inspired her to apply to veterinary school. While attending vet school in Saskatoon, Dr. Passante-Watt met her husband, Dr. Walker Watt, and the pair got married in October of 2013. During his fourth year of vet school, Dr. Watt attended a conference and met some veterinarians from Teigland, Franklin, and Brokken, a racetrack practice at Gulfstream Park in Florida. He went to visit and did an externship there, later receiving a job offer. Dr. Watt and Dr. Passante-Watt then made the decision to move to Florida, where Dr. Watt took the racetrack job, and Dr. Passante-Watt found a position at Palm Beach Equine Clinic. The first year Dr. Passante-Watt and her husband moved to Florida, they stayed and worked for the full year. They then decided to split their time between the U.S. and Canada, just traveling to Florida for the winter season. They opened their own mobile practice in Western Canada, which Dr. Watt now runs year-round while his wife soaks up everything she can learn in Wellington throughout the winter. Having the state-of-the-art facility and equipment at Palm Beach Equine Clinic at her disposal throughout the winter is also a huge advantage. Dr. Passante-Watt has many different veterinary interests, including diagnostic imaging, ophthalmology, lameness, dentistry and internal medicine. She really enjoys general practice, specializing in a little bit of everything. She is also certified in acupuncture and equine chiropractic from Options for Animals Chiropractic School. As far as future goals, Dr. Passante-Watt plans to take it year by year, continuing to come to Palm Beach Equine Clinic in the winters, continuing to learn, and being the best veterinarian that she can be.